Today is a good date to avoid getting severe heart disease, or investigate ways to treat diagnosed heart disease so you may live longer. Heart disease risk factors are conditions or habits that raise your risk for coronary heart disease (CHD; also called coronary artery disease) and heart attack. These risk factors also increase the chance that existing heart disease will worsen. CHD is a condition in which a fatty material called plaque which builds up on the inner walls of the coronary arteries. These arteries carry oxygen-rich blood to your heart muscle. 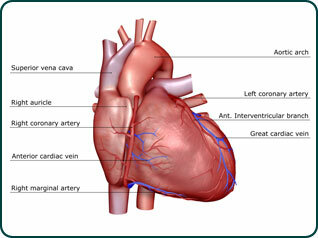 Plaque narrows the arteries and reduces blood flow to your heart muscle. This can cause chest pain, especially when you're active. Eventually, an area of plaque can rupture, causing a blood clot to form on the plaque's surface. If the clot becomes large enough, it can mostly or completely block the flow of oxygen-rich blood to the part of the heart muscle fed by the artery. This causes a heart attack. The risk factors you can't control are age, gender, and family history. Many people have at least one heart disease risk factor. Your risk for heart disease and heart attack increases with the number of risk factors you have and their severity. Also, some risk factors, such as smoking and diabetes, put you at greater risk for heart disease and heart attack than others. Many heart disease risk factors start during childhood. This occurs even more now because many children are overweight and don't get enough physical activity. Some heart disease risk factors can even develop within the first 10 years of life. 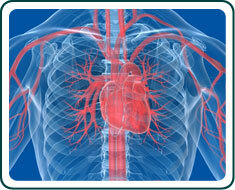 Researchers continue to study and learn more about heart disease risk factors. Heart disease is the #1 killer of both women and men in the United States. Following a healthy lifestyle can help you and your children prevent or control many heart disease risk factors. Because many lifestyle habits begin during childhood, parents and families should encourage their children to make heart healthy choices. For example, if you maintain a healthy weight, follow a healthy diet, do physical activity regularly, and don't smoke, you can reduce your heart disease risk. On average, people who have a low risk for heart disease live up to 10 years longer than people at high risk for heart disease. If you already have heart disease, lifestyle changes can help you control your risk factors. This may prevent heart disease from worsening. Even if you're in your seventies or eighties, a healthy lifestyle can lower your risk of dying from heart disease by nearly two-thirds. If lifestyle changes aren't enough, your doctor may recommend other treatments to help control your risk factors. Your doctor can help you find out whether you have heart disease risk factors. He or she also can help you create a plan for lowering your risk for heart disease, heart attack, and other heart problems. If you have children, talk to their doctor about their heart health and whether they have heart disease risk factors. High blood cholesterol is a condition in which there's too much cholesterol which is a waxy, fat-like substance in your blood. The higher your blood cholesterol level, the greater your risk for heart disease and heart attack. Low-density lipoproteins (LDL). LDL cholesterol is sometimes called "bad" cholesterol. This is because it carries cholesterol to tissues, including your heart arteries. The higher the level of LDL cholesterol in your blood, the greater your risk for heart disease. High-density lipoproteins (HDL). HDL cholesterol is sometimes called "good" cholesterol. This is because it helps remove cholesterol from your arteries. A low HDL cholesterol level raises your risk for heart disease. A number of factors affect your blood cholesterol levels. For example, after menopause, women's LDL cholesterol levels tend to rise and their HDL cholesterol levels tends to fall. Other factors, such as age, gender, and diet, also affect your cholesterol levels. Healthy levels of both LDL and HDL cholesterol will prevent plaque from building up in your arteries. Routine blood tests can show whether your blood cholesterol levels are healthy. Talk to your doctor about having your cholesterol tested and what the results mean. Children also can have high blood cholesterol, especially if they're overweight. Talk to your child's doctor about testing your child' cholesterol levels. To learn more about high blood cholesterol and how to manage the condition, see the Diseases and Conditions Index (DCI) High Blood Cholesterol article and the National Heart, Lung, and Blood Institute's (NHLBI's) "Your Guide to Lowering Your Cholesterol With TLC." Triglycerides are another type of fat found in the blood. Some studies suggest that a high level of triglycerides in the blood also may raise the risk for heart disease, particularly in women. "Blood pressure" is the force of blood pushing against the walls of your arteries as your heart pumps out blood. If this pressure rises and stays high over time, it can damage your heart and lead to plaque buildup. 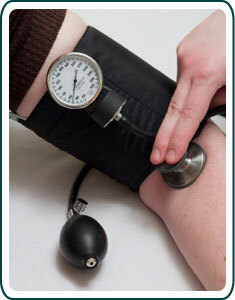 Often, high blood pressure (HBP) has no signs or symptoms. However, the condition can be detected using a simple test that involves placing a blood pressure cuff around your arm. Most adults should have their blood pressure checked at least once a year. Talk to your doctor about how often you should have your blood pressure checked. If you have HBP, you will likely need to have your blood pressure checked more often. Children also can develop HBP, especially if they're overweight. Your child's doctor should check your child's blood pressure at each routine checkup. Blood pressure numbers consist of systolic and diastolic pressures. Systolic blood pressure is the pressure when your heart beats. Diastolic blood pressure is the pressure when your heart is at rest between beats. All levels above 120/80 mmHg raise your risk for heart disease. This risk grows as blood pressure levels rise. Only one of the two blood pressure numbers has to be above normal to put you at greater risk for heart disease and heart attack. Blood pressure normally rises with age and body size. Newborns often have very low blood pressure numbers, while older teens have numbers similar to adults. The ranges for normal blood pressure and HBP are generally lower for youth than for adults. These ranges are based on the average blood pressure numbers for age, gender, and height. Your child should have routine blood pressure checks starting at 3 years of age. To find out whether a child has HBP, a doctor will compare the child's blood pressure numbers to average numbers for his or her age, height, and gender. Both children and adults are more likely to develop HBP if they're overweight or have diabetes. For more information about HBP and how to manage the condition, see the DCI High Blood Pressure article and the NHLBI's "Your Guide to Lowering Your Blood Pressure With DASH." Diabetes is a disease in which the body's blood sugar level is too high. The two types of diabetes are type 1 and type 2. In type 1 diabetes, the body's blood sugar level is high because the body doesn't make enough insulin. Insulin is a hormone that helps move blood sugar into cells, where it's used for fuel. In type 2 diabetes, the body's blood sugar level is high mainly because the body doesn't use its insulin properly. Over time, a high blood sugar level can lead to increased plaque buildup in your arteries. Having diabetes doubles your risk for heart disease. Prediabetes is a condition in which your blood sugar level is higher than normal, but not as high as it is in diabetes. If you have pre diabetes and don't take steps to manage it, you're likely to develop type 2 diabetes within 10 years. You're also at higher risk for heart disease. Being overweight or obese raises your risk for type 2 diabetes. With modest weight loss and moderate physical activity, people who have pre diabetes may be able to delay or prevent type 2 diabetes. They also may be able to lower their risk for heart disease and heart attack. Weight loss and physical activity also can help control diabetes. Even children can develop type 2 diabetes. Most children who have type 2 diabetes are overweight. Type 2 diabetes develops over time and sometimes has no symptoms. Go to your doctor or local clinic to have your blood sugar levels tested regularly to check for diabetes and prediabetes. 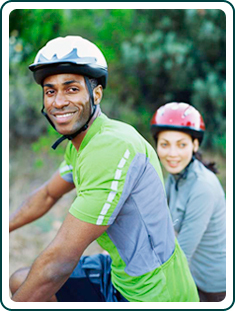 For more information on diabetes and pre diabetes, see the National Institute of Diabetes and Digestive and Kidney Diseases' (NIDDK's) Introduction to Diabetes. The terms "overweight" and "obesity" refer to a person's overall body weight and whether it's too high. Overweight is having extra body weight from muscle, bone, fat, and/or water. Obesity is having a high amount of extra body fat. The most commonly used measure of overweight and obesity is body mass index (BMI). BMI is calculated from your height and weight. In adults, a BMI of 18.5 to 24.9 is considered normal. A BMI of 25 to 29.9 is considered overweight. A BMI of 30 or above is considered obese. Over two-thirds of American adults are overweight, and almost one-third of these adults are obese. You can use the NHLBI's online BMI calculator to figure out your BMI, or your doctor can help you. Overweight is defined differently for children and teens than it is for adults. Children are still growing, and boys and girls mature at different rates. Thus, BMIs for children and teens compare their heights and weights against growth charts that take age and gender into account. This is called BMI-for-age percentile. For more information about BMI-for-age growth charts for children, go to the Centers for Disease Control and Prevention's BMI-for-age calculator. Being overweight or obese can raise your risk for heart disease and heart attack. This is mainly because overweight and obesity are linked to other heart disease risk factors, such as high blood cholesterol and triglyceride levels, high blood pressure, and diabetes. For more information, see the DCI Overweight and Obesity article. Smoking tobacco or long-term exposure to secondhand smoke raises your risk for heart disease and heart attack. Smoking triggers a buildup of plaque in your arteries. Smoking also increases the risk of blood clots forming in your arteries. Blood clots can block plaque-narrowed arteries and cause a heart attack. Some research shows that smoking raises your risk for heart disease in part by lowering HDL cholesterol levels. The more you smoke, the greater your risk for heart attack. Studies show that if you quit smoking, you cut your risk for heart attack in half within a year. The benefits of quitting smoking occur no matter how long or how much you've smoked. Most people who smoke start when they're teens. Parents can help prevent their children from smoking by not smoking themselves. Talk to your child about the health dangers of smoking and ways to overcome peer pressure to smoke. Inactive people are nearly twice as likely to develop heart disease as those who are active. A lack of physical activity can worsen other heart disease risk factors, such as high blood cholesterol and high triglyceride levels, high blood pressure, diabetes and prediabetes, and overweight and obesity. It's important for children and adults to make physical activity part of their daily routines. One reason many Americans aren't active enough is because of hours spent in front of TVs and computers doing work, schoolwork, and leisure activities. Some experts advise that children and youth reduce screen-time because it limits time for physical activity. They recommend children age-2 and older should spend no more than 2 hours a day watching television or using a computer (except for school work). Being physically active is one of the most important things you can do to keep your heart healthy. The good news is that even modest amounts of physical activity are good for your health. The more active you are, the more you will benefit. For more information, see the U.S. Department of Health and Human Services' "2008 Physical Activity Guidelines for Americans," the Diseases and Conditions Index Physical Activity and Your Heart article, and the NHLBI's "Your Guide to Physical Activity and Your Heart."